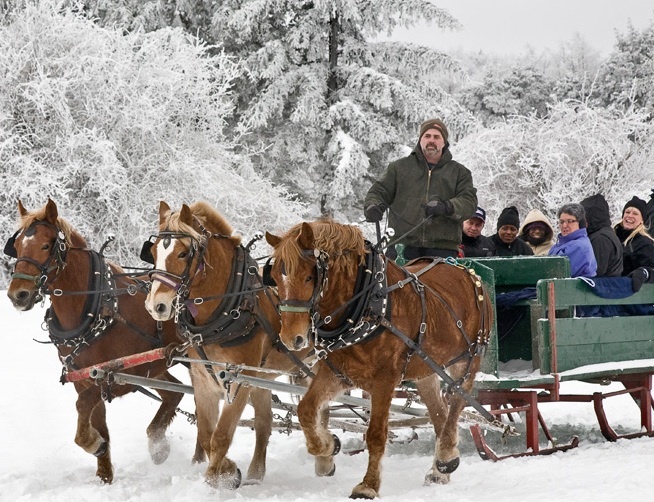 Enjoy a 20 minute horsedrawn sleighride (or wagon rides) through the wintery woods at Highland Forest. No reservations needed. First come, first served. All rides will take place weather permitting. The park recommends calling the office ahead of time to check on the schedule. Rides also available on Monday, February 18.